What reader doesn't dream of sleeping in a Bookstore? Well, we readers do, anyway. 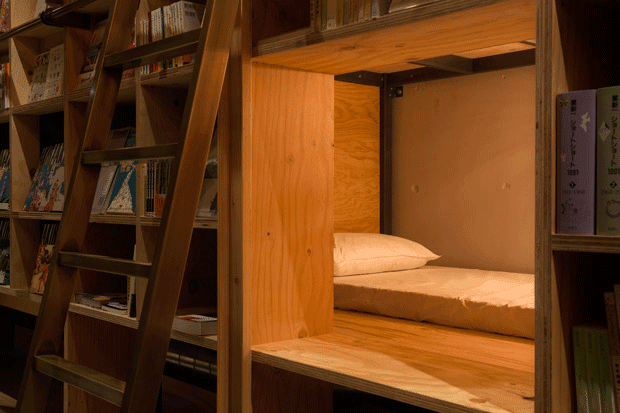 A Bookstore-Themed Hostel is set to open in November in Tokyo. The interior of Book and Bed looks like something out of a book lover's fantasy. Lining the shelves of the hostel are hundreds of English and Japanese titles. Books are even hung from the ceiling in a way that makes them appear as if they’re gliding overhead. Guests can read on one of the hostel’s sofas piled with pillows, or in their capsule-style sleeping quarters equipped with personal reading lamps. Some beds are even located behind the actual bookshelves, and guests can climb a ladder to access the second level. 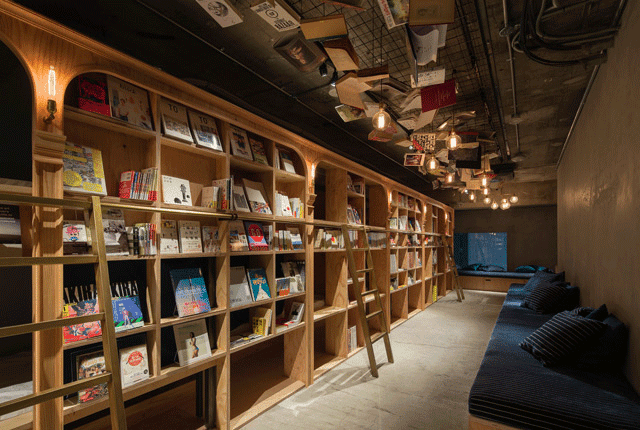 While the books at this bookstore-themed hostel aren’t for sale, guests are free to read to their hearts' content for the duration of their stay. You can book your trip today for $32 to $50 a night.